- People who can design a website, with a real domain. You can apply here with as much information as you can give us! Includes a whitelist btw! I repost this because i put my application on the wrong topic so i made my own topic. *What is your age? :13 turning 14 in 26 days yeah!!! When I find an inspiration I tend to go into a mode where I just build my intentions. 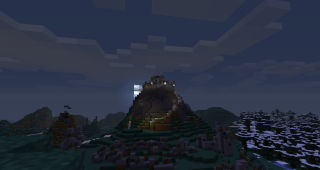 Then i found LOTR minecraft an I just wanted to help create amazing LOTR buildings. *Prefer Survival or Building? :Building, because it has a purpose. *Do you Have Skype? : Yes. Are you willing to work in a team? Or rather go alone? : Team. What do you think of yourself as a builder? :i think im good, but redstone isnt my thing. Are you willing to work in a team? Or rather go alone? : I like teaming. What do you think of yourself as a builder? : I think im good at it, but redstone isnt my thing.